A campaign has started in the West Midlands to celebrate the 550th anniversary of the founder of the Sikh religion, Guru Nanak Dev Ji. The social media campaign is collecting testimonies of leaders from the region in relation with the anniversary. 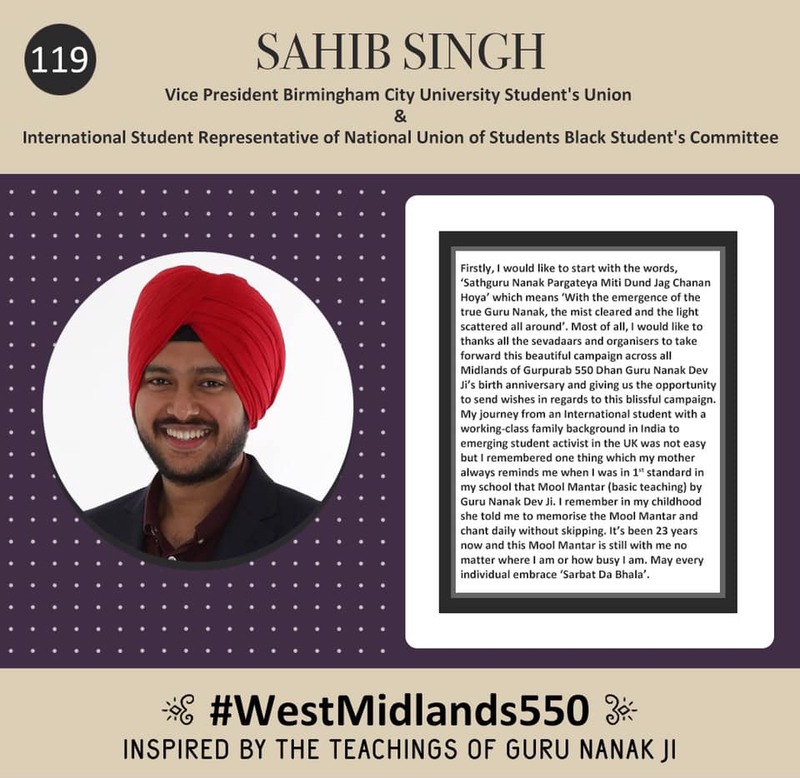 The testimonies are being collected on Facebook and Twitter under the hashtag #WestMidands550. At the time of writing, the campaign has received more than 150 messages. The next step of the campaign will be to write all the messages in the back of a big card.